With almost 15,000 restaurants in Madrid, this city might be one of the best places for a memorable first date. 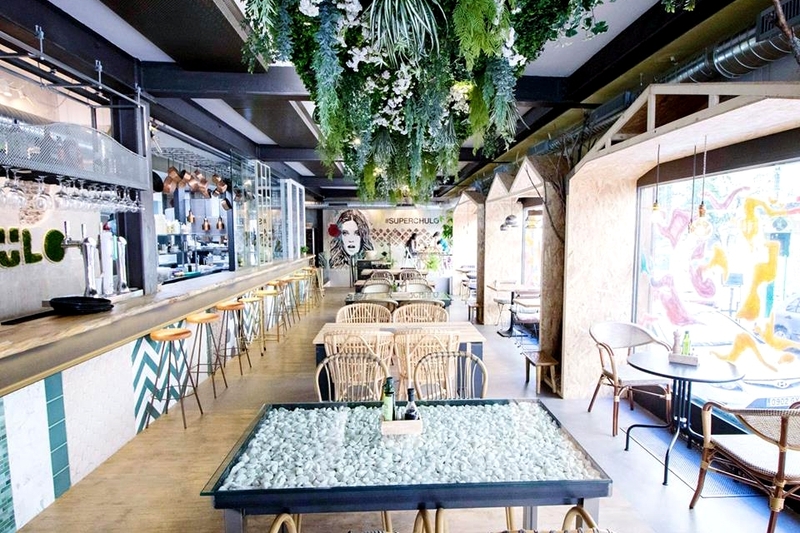 You might prefer something super romantic and intimate, or a swanky tapas bar that’s a bit more laid back; Madrid has it all and for every budget! 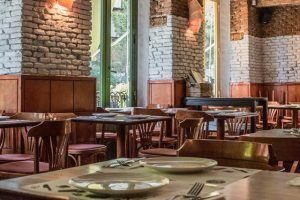 Let us start with the one that might be amongst the most popular restaurants on this list, but we can’t deny that it’s great for a first date. 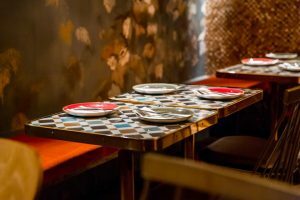 Lateral is an excellent chain with low prices and multiple locations around Madrid. The one in plaza Santa Ana might be a personal favorite because of its central location and a romantic terrace. Most of their dishes come in two or three different portion sizes, so you can order more things and split them with your date. Additionally, if everything goes great and you don’t want to finish your date straight after dinner, there are loads of great bars to continue. Live music, a cozy terrace and a wide variety of dishes are only a few of the reasons to choose this place for your first romantic outing. 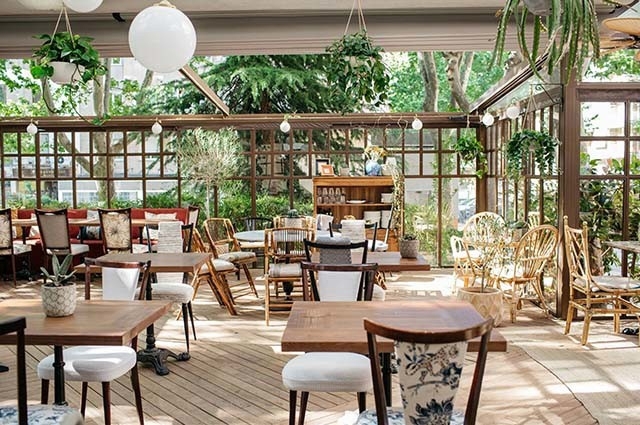 You can find it in two locations and each one is a small oasis right in the midst of the buzzing centre of Madrid. If you select this place, you have to try their sparkling wine sangria to add some fizz to your evening. One more gem with a great terrace. 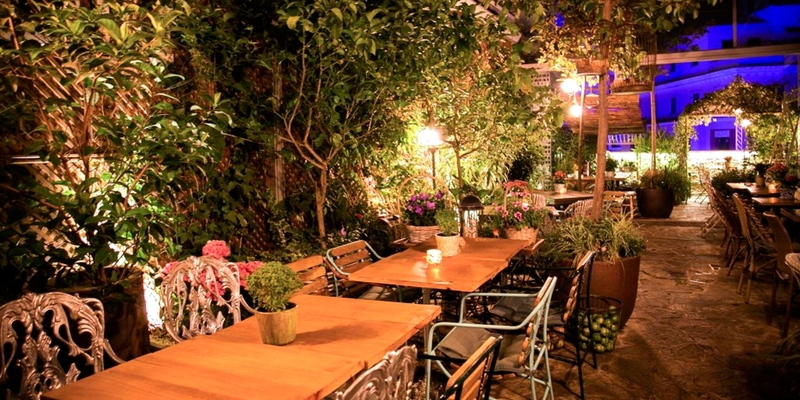 Again,the terrace is enclosed, so you can enjoy the intimacy of this urban garden during any season. The restaurant is divided into two parts: one for drinks and snacks and another for dinner. They have quite a short menu, but every single thing on the list is spectacular. It’s not in the city center, but in our opinion it’s worth the short metro journey! This small oasis, courtesy of the Salvador Bachiller store, provides its customers with a calm refuge amongst the loud city crowds. Located on the rooftop of the store, this popular brunch spot transports you to the magical forest full of candles and lanterns. 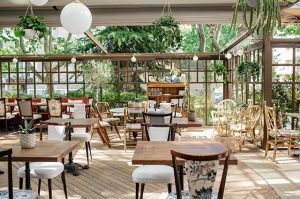 It’s one of the best places for brunch in Madrid and if you prefer a daytime date – this is the one to go with! Pizza is always a safe choice for a date! 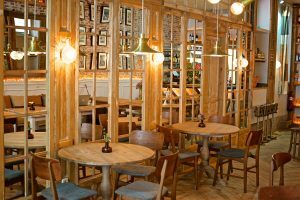 This restaurant is an excellent choice for a first date for its rustic design, good food and more than affordable prices. They also offer great deals and Menus. If both of you aren’t in the mood for a fancy place – be sure to check this one out! Don’t let the name fool you, Bar Galleta isn’t actually a bar, but a stunningly romantic restaurant. Playful and full of light, this spot is famous for its French atmosphere and tasty food. The staff offer an excellent service and prices are really good for this type of an establishment. This is the place that will capture your date’s heart and won’t disappoint! This is one size fits all type of place! You can start with a few drinks on the terrace. After that slowly move to tapas or order full plates of food from different stalls if you’re in a mood for something more substantial. Finish it all with one of the tastiest sweet crepes in Madrid. This market has something for everyone, you’re not obligated to have a full meal, and their terraces are cozy and romantic. It might get crowded during some hours, but if you’re lucky enough to get a table – you’ll stay there for few hours, for sure. If you or your date are healthy food lovers – this is the perfect place to choose for your first date. 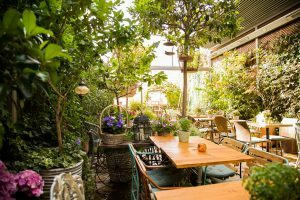 Superchulo with its modern style, dim evening lights, fresh flowers and high-quality food is a lesser known gem in the center of Madrid. The design in itself is a mix of different artists’ works and photos of the owner’s family members. Even the smallest detail there has its story and place. Try it out and you won´t regret it for a second! Because it’s always tapas time somewhere! 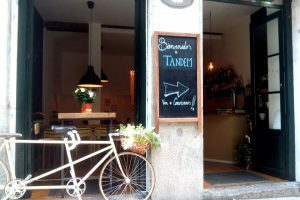 Tandem is like a younger brother of one of the best restaurants in Madrid, Triciclo. It is equally as interesting but significantly more affordable. It specializes in cold appetizers gourmet style that go perfectly with a beer or a glass of wine. 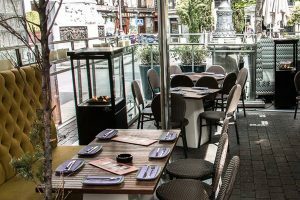 Go there just to chat, have a few drinks and try tasty food in a light atmosphere of a tapas bar. As an added bonus, some of the Triciclo’s dishes tend to appear on the Tandem’s menu giving you a chance to try it out without going to the expensive restaurant. A paradise for beer lovers! La Tape offers more than 40 craft beers and a traditional cuisine with some modern touches. They organize beer tastings and have really interesting seasonal offers, like their St. Valentine’s Day Menu. It occupies two floors with a spacious bar area if you’re only meeting for drinks, although we do strongly recommend to at least share a piece of their carrot cake, which is considered by some to be the best in Malasaña! Now you’ve got some great suggestions to make your date unforgettable. 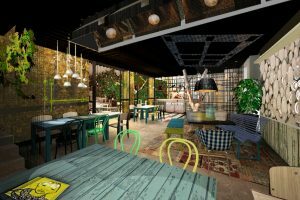 Are there any other restaurants in Madrid you like as a first date destination? Leave a comment on our Facebook page to share your favorites. Madrid is an incredible city with so much to discover and perfect to work abroad for a short or long period of time. 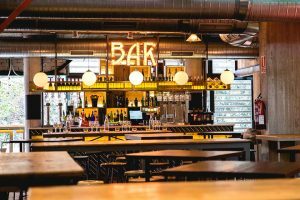 Take a look at some of our other posts about Madrid and the foodies out there can also find a list of Five of the best restaurants in Chueca.